In Greater Indianapolis, it takes a tech company an average of five-and-a-half weeks to promote a STEM job before being able to fill it (according to the Brookings Institution). This is the fastest-growing space for employment and this is not sustainable for tech firms to work that hard to meet employment needs. What can we do to effectively and efficiently change that statistic? Many, if not all, of the tech firms are led by entrepreneurs. These entrepreneurs should be left to do what they do best – build companies of scale, create employment opportunities, and innovate. They are not educators. The importance of bridging the gap between entrepreneurs and how educators can work to meet the demands of the talent pipeline in the personal and private sector cannot be overstated. The Indiana Manufacturers Association likes the idea of passing funds to companies to do their own training. While this concept may work for certain manufacturers, this model of duplicity is simply not feasible nor efficient for the tech sector. The share of the burden for the common cause of adequately preparing a workforce through organizations like Eleven Fifty Academy, who with the help of a grant through the Department of Workforce Development, created a significant statewide impact. Over the course of 2016, Eleven Fifty Academy, through their Cool Coding Awareness Week, introduced the experience of coding to 25 communities across Indiana, reaching 23,000 students and 153 teachers. Through their immersive 9-week courses, they trained students on relevant, employer advised curriculum for placement in jobs after graduation. These students are enjoying a living wage and not just any wage. All with an average student debt 25% less than the states average 4-year college debt. If that’s not enough, they have taught 1,200 existing professionals from 21 states and 3 countries in their first 2 years. (and brought them in to see our state) All thanks, in great part, to a SkillUP grant from DWD. Not bad for a team of 14 (and lots of community support). EFA now has 75 area employers involved in hiring or advisory roles for their graduates. They close their year with a successful experiment of taking their show on the road outside of Indiana, educating 50 coal miners in a rural eastern location in Kentucky. My grandfather was a coal miner in western Pennsylvania, I am sure he’d be delighted at additional opportunities available in rural areas for his fellow laborers as our energy needs evolve. What else needs to be done? Nonprofits like EFA cannot act alone. The jobs of today and tomorrow clearly need to be met with a skilled workforce. Education at younger ages is critical to meeting the demands we face today and in the near future. There are challenges, but far greater are the opportunities for educators to become involved. Our current culture is about college degree equaling success. If someone does not fit that category, how do we help them not to feel disconnected? I know I am guilty as a writer for consistently asking where someone went to school. John Qualls, President of Eleven Fifty Academy, does not have a college degree (unless you count the United States Marine Corps as a degree in hard knocks). We all struggle with path actualization in one way or another. The ease to which a student can accumulate educational debt is overwhelming, and if they are not on a strong path to success, it is just debt. After a student is no longer a student in the education system, and lacks skills for a fulfilling job, they become a workforce problem. It is clear to me that early intervention of awareness of viable and promising career paths needs to be made available. Education does a lot to help, but a stronger relationship between education, workforce development, and the private sector needs to exist. Many schools are already progressing in this arena, but what about communities with lots to offer, but lack the resources to create this bridge? Clear paths to employment is only one facet to the solution, as there are many areas to be explored. Today, there is no such thing as a non-tech company. While we can always do better, we should never shy away from innovating. Last Saturday morning, Dan Wakefield and I had just been seated at Cafe Patachou when I saw a woman seated at the bar who looked nearly identical in profile, even in 3/4 profile, to a museum laboratory scientist that I recently interviewed. I told Dan I needed to say hello quickly and asked if I should introduce him. He shook his head with an expression of “Please, do not do that to me”. All rightly then…I clearly had the wrong woman. So she turns and I politely introduce myself and tell her she looks very familiar and expressed my apologies for realizing when it was too late that she was not whom I thought she was but it was worth the risk of embarrassment. I told her that indeed, she did not and quickly left her side. I shared it with Dan after I could speak again. 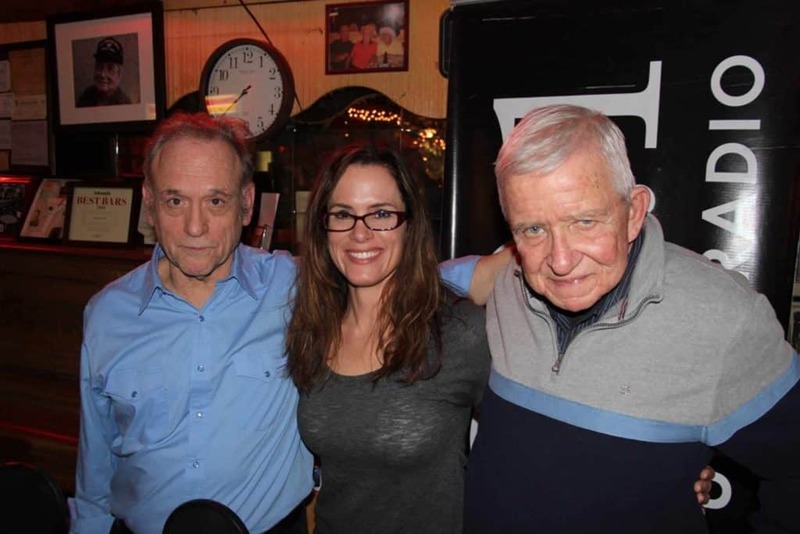 A couple nights later, I was with Dan again, this time attending his Uncle Dan’s Story Hour, a radio show recorded in Dan’s beloved watering hole, The Red Key Tavern. His featured guest was Mark Vonnegut, Kurt’s oldest son. Dan was friends with Mark’s father and it seems only natural that Mark would have an affinity for Dan, especially in the wake of Kurt’s passing. However, I believe the two would be friends, irregardless of the friendship Dan shared with Mark’s famous father. My relationship with Dan is one of friends, as I have written about before, but Dan is one of my closest friends, a best friend. He’s trustworthy and a great listener, which is what every great friendship should be based upon. Dan is also one of the funniest people I know, in his own way of course. He speaks volumes with an expression, he can react with sincere annoyance, such as the poor crop of movies he’s receiving right now from the Screenwriter’s Guild (Oscar contenders) and trigger my laughter. To be clear, I am not laughing at him, but his outbursts are funny, even when he is not trying to be. He doesn’t get annoyed with me for laughing (note: another friend trait). Both of my grandfathers died prior to my 6th birthday, so it seems natural for me to have a relationship like this with Dan, although he prefers “mature father figure” to that of “grandfather”. Watching Mark reach over and touch Dan’s back during the taping of the show, or as evidenced in the photo where I stand in the middle, is an act of affection by Mark. I get it. I feel it, too. © 2019 Kara Kavensky. All Rights Reserved.Site Designed By SuperPixel. Leave a comment about this site.